Traditional marketing channels have broadened considerably in the last few years, with the use of cross-channel marketing platforms to engage audiences about brands and their products. With the fast changes in the marketing world, organisations have been looking at new ways to strengthen the relationship between the brand and the customers, and so they have been turning their heads to gaming. The goal of gaming is to improve the user’s skills in a fun way through small incentives, scoring systems, ranking lists and virtual goods. Combined, they increase the users’ motivation, commitment and loyalty, but also their confidence to take risks and share how they did in gameplay with their social circles. From a marketing perspective, it is a way to stand out, broaden the brand appeal and increase the level of engagement of the user with the brand, which can later influence the purchase decisions. 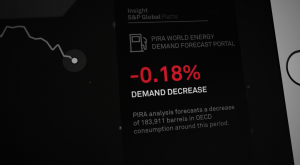 As a leading independent provider of information and benchmark prices for commodities and energy markets, Platts knows data is key to decision making and information alone isn’t enough anymore. 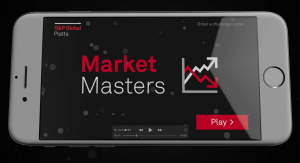 With this in mind, we have worked together to develop Market Masters, a simulation tool for traders and aficionados to navigate in a fast-changing market and turn the events to their advantage as they compete to maximise their virtual profit. Inspired by the market dynamics and with synthetic data based on real life impact scenarios, the game builds on the premise that trading decisions are worth simulating first, and when using the right tools, it enables the users to make the right decisions in order to make profits. From the marketing perspective the impact is twofold: on one side, it creates an opportunity for Platts to engage with new audiences about their brand; on the other side, it creates the opportunity to demonstrate the value of Platts products and the weight they could bear on making the right choices when facing various levels of market conditions and events. MarketMasters was developed by Miura in partnership with Popped.